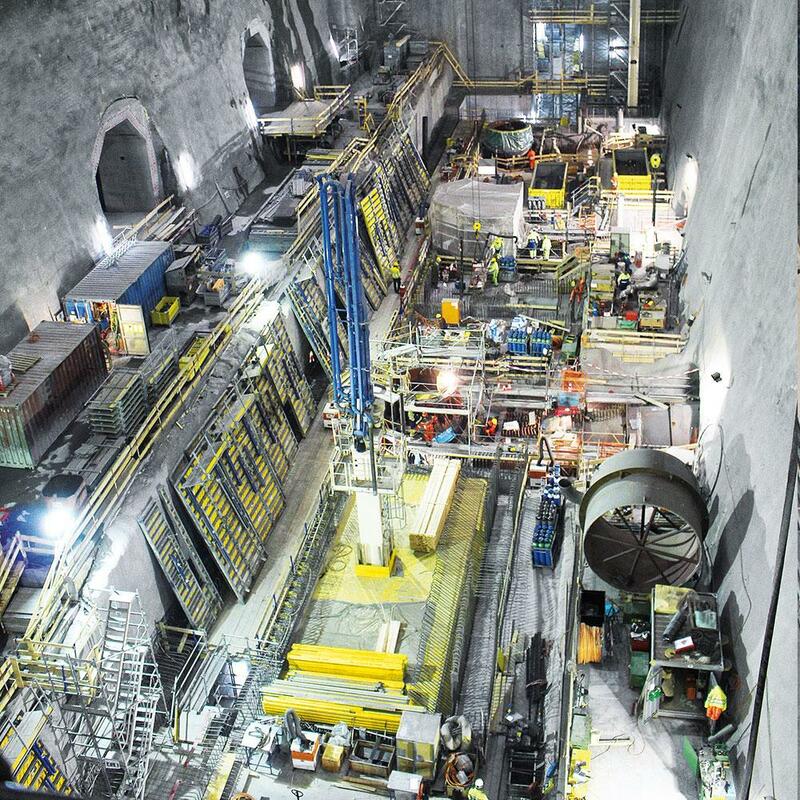 In the Swiss Alps, Europe's most impressive machinery cavern is under construction for the Nant de Drance pumped-storage power station. Doka is assisting construction of the underground facility with a sophisticated formwork solution. 17 km of tunnels – 1.7 million cubic metres of excavated rock spoil – 900 MW installed capacity – 2.5 billion kWh of electricity per year: the Nant de Drance pumped-storage power station sets a milestone in securing the supply of electricity for Switzerland and for Europe. The power plant is designed to utilise the difference in elevation between the high-site Vieux Emosson reservoir and the lower-level Emosson reservoir. The heart of the project is the 194-metre long, 32-metre wide and 52-metre high machinery cavern, which will accommodate a total of six pump turbines. 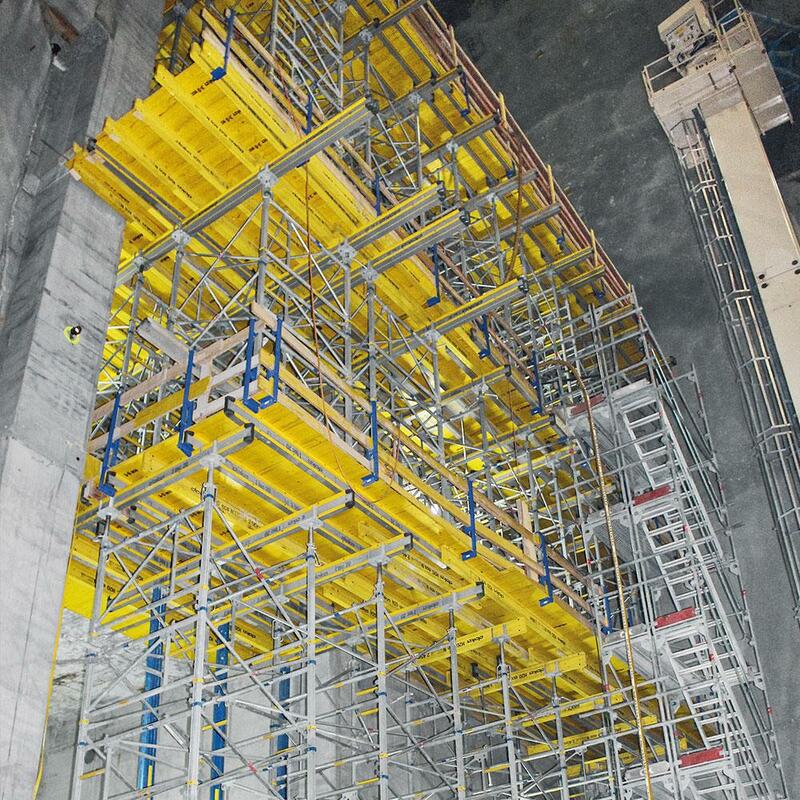 Doka Switzerland developed a custom formwork solution to deal with the underground powerhouse structure's huge dimensions, combined with the very confined spaces typical of some parts of the build and the high safety requirements. Planning for the nine machinery blocks was cross-border, in the capable hands of Doka engineers working in Switzerland, Austria and Germany. Doka's contribution comes to a grand total of 4400 engineering hours, 1767 square metres of framed formwork, 7073 linear metres of load-bearing towers, 21,277 square metres of three-ply sheets and 31,523 linear metres of formwork beams. In the end, Doka will have delivered 65 truckloads of formwork material to the underground construction site high in the mountains. Thank you for your interest - Nant de Drance pumped-storage power station. Thank you very much for your interest - Nant de Drance pumped-storage power station.